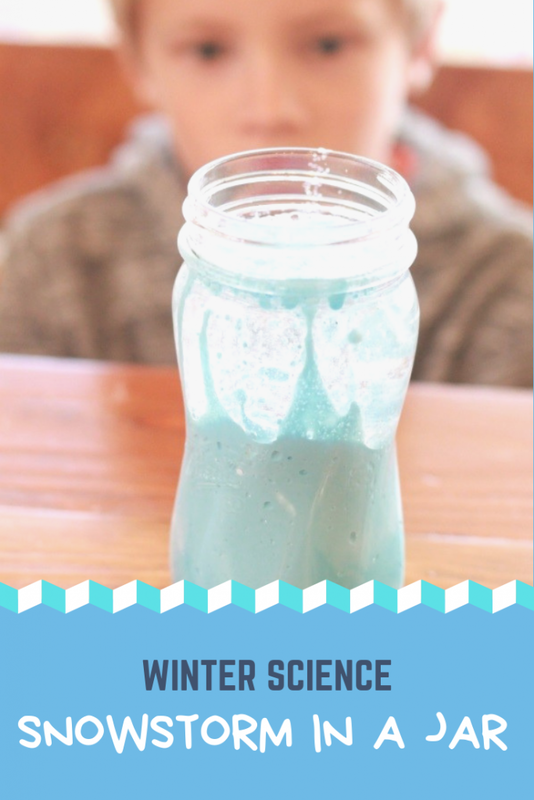 One of my favorite activities in our magic science series here on the diy page is this magic milk experiment. 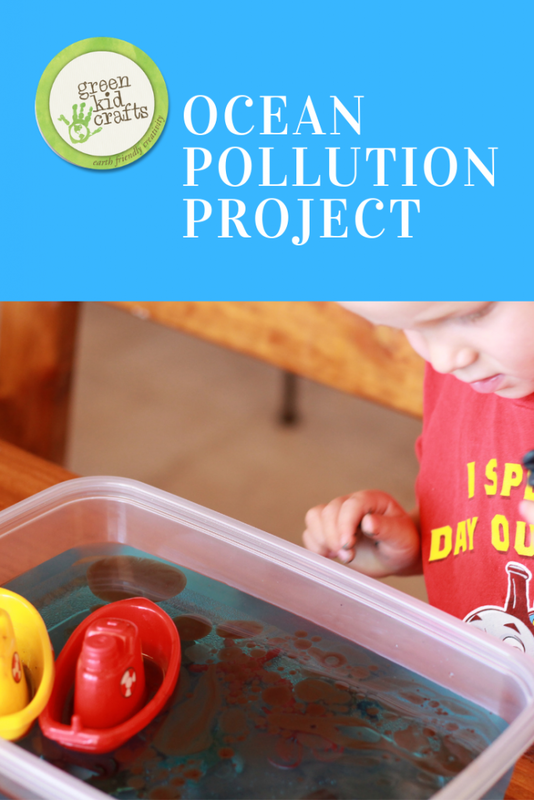 The activity combines art, science and math making it the perfect STEM project for kids. 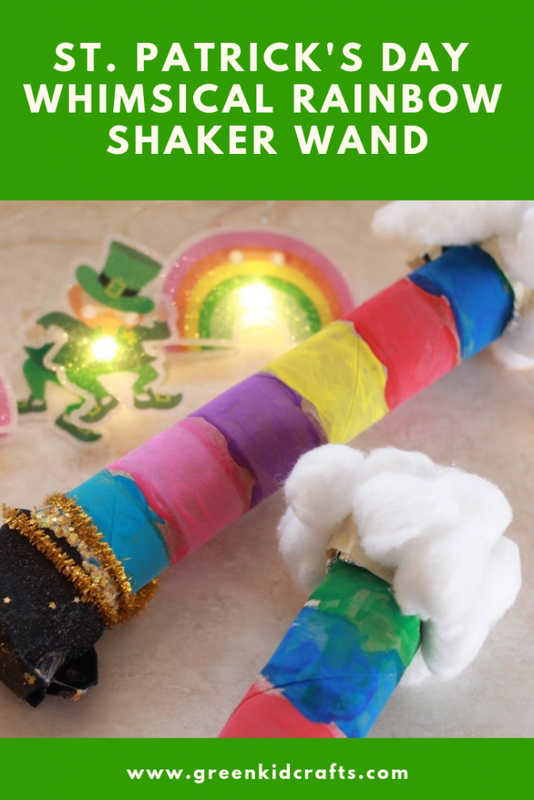 Kids measure ingredients, predict outcomes, create art, and learn how the ingredients in this magic milk activity work together to create the reaction that they do. 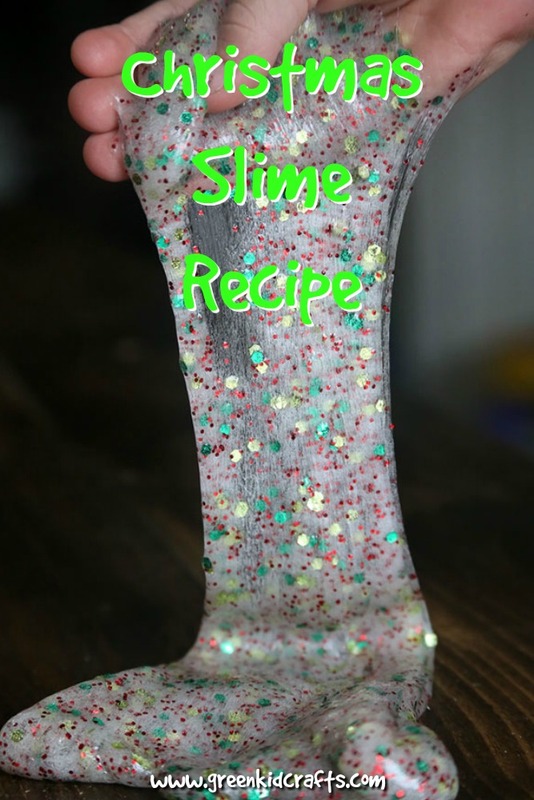 This project does require specific ingredients. 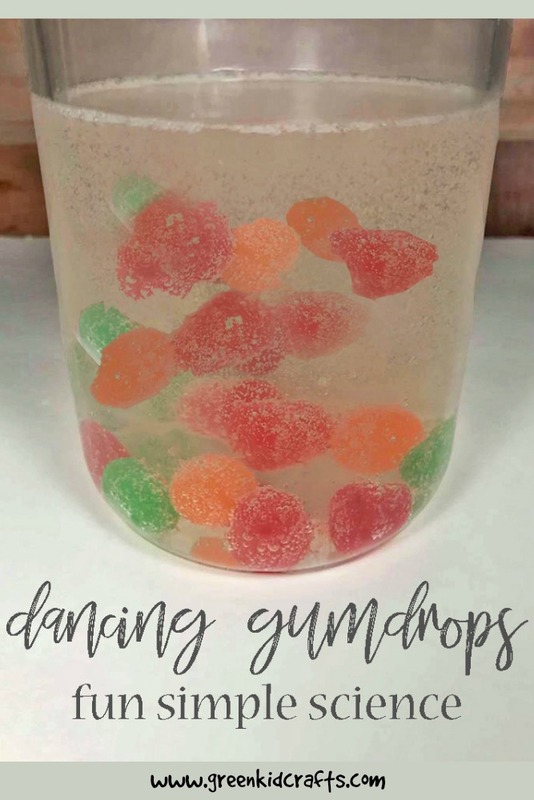 We found that using different ingredients such as gel food coloring instead of liquid didn’t produce the same result. 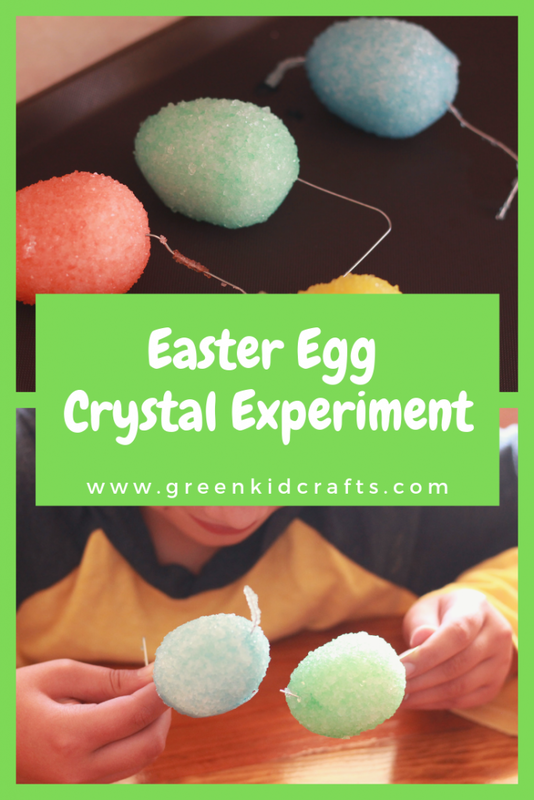 If you have gel food coloring try watering it down a little for this experiment. Pour enough milk in the container or plate to cover the bottom. 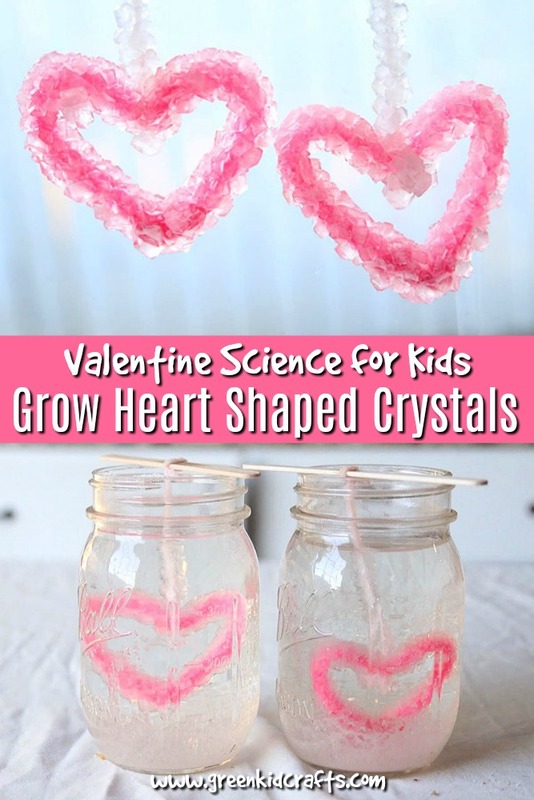 Pour dish soap into the small cup. 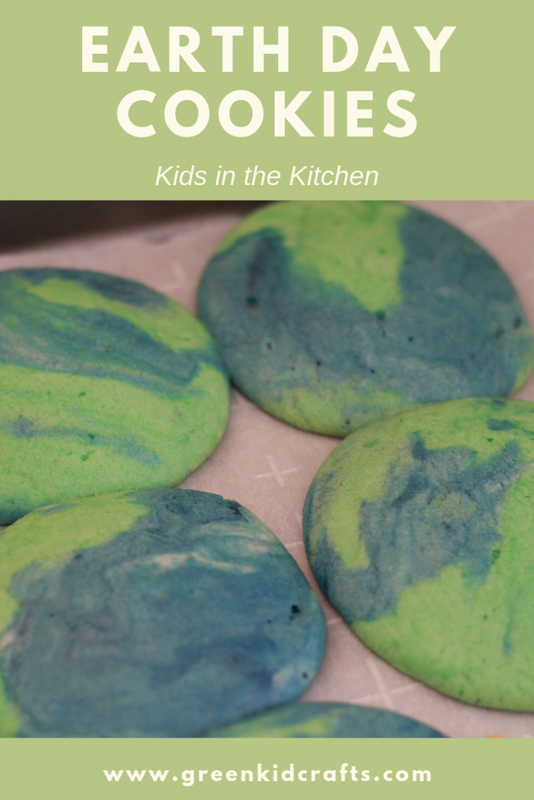 Add a few drops of food coloring to the surface of the milk. 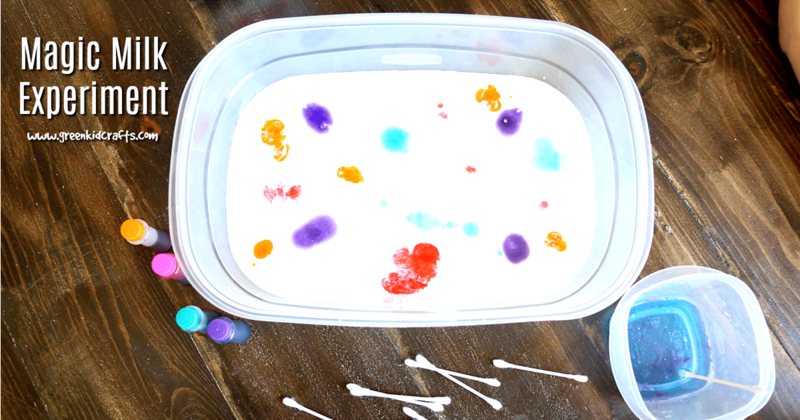 Dip the Q-tip into the dish soap and then into one of the drops of color on the surface of the milk. You don’t need to swirl the Q-tips. Repeat with another Q-tip and color. 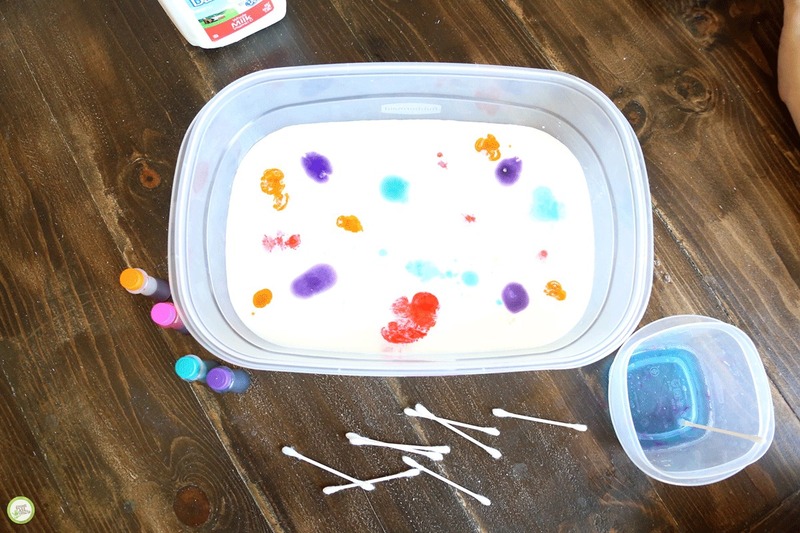 Experiment with different measurements of color and soap to see what works and what doesn’t. 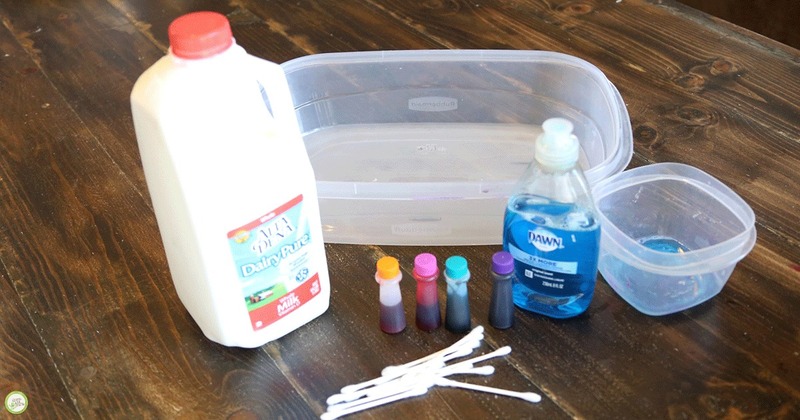 Combine colors for a fun art project using milk! We see colors swirling together on the surface of the milk but there is a science behind this reaction. The whole milk contains fat, protein and other molecules that react to the soap. 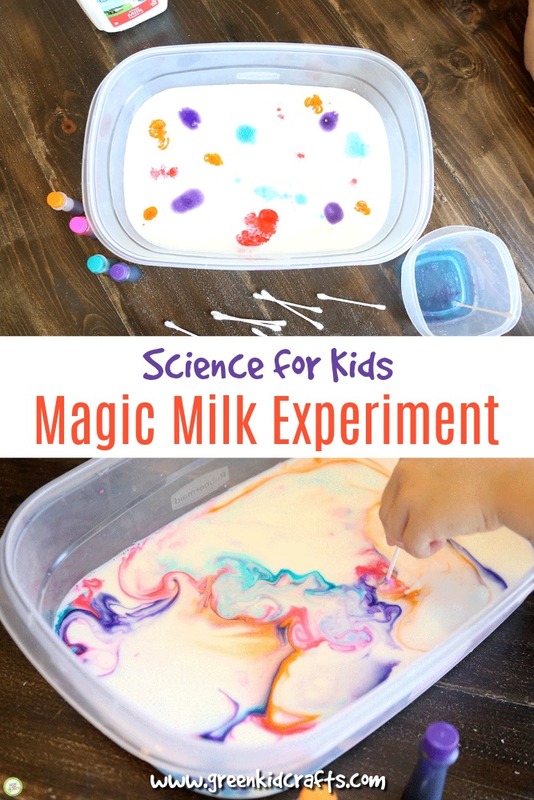 When the Q-tip breaks the surface tension of the milk the soap begins breaking down the tension in the milk and the food coloring can flow around the surface of the milk more freely. 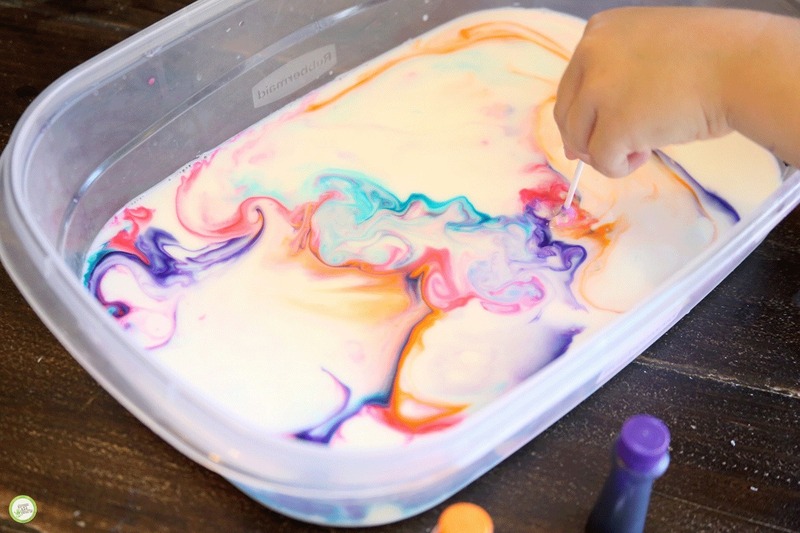 The soap also breaks down proteins in the milk making the molecules move more in the milk creating the swirling and movement of the colors. 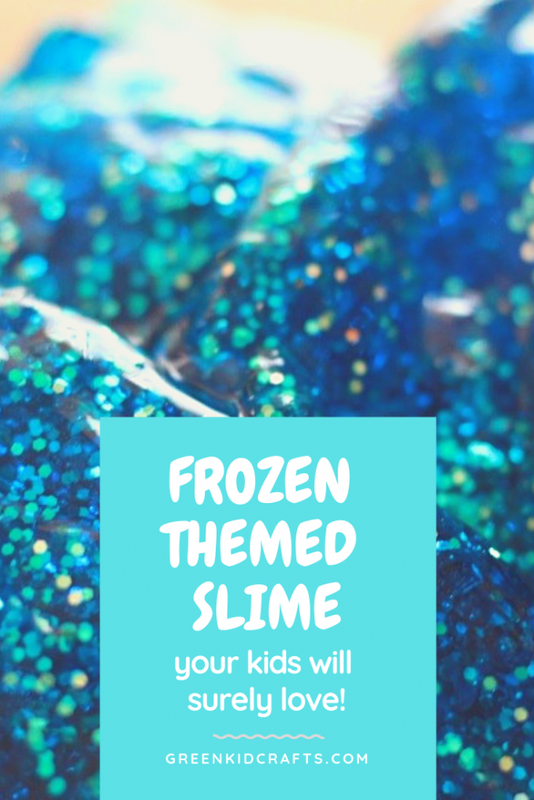 Eventually the swirling of the colors will slow down and you’ll be left with a pretty cool design. 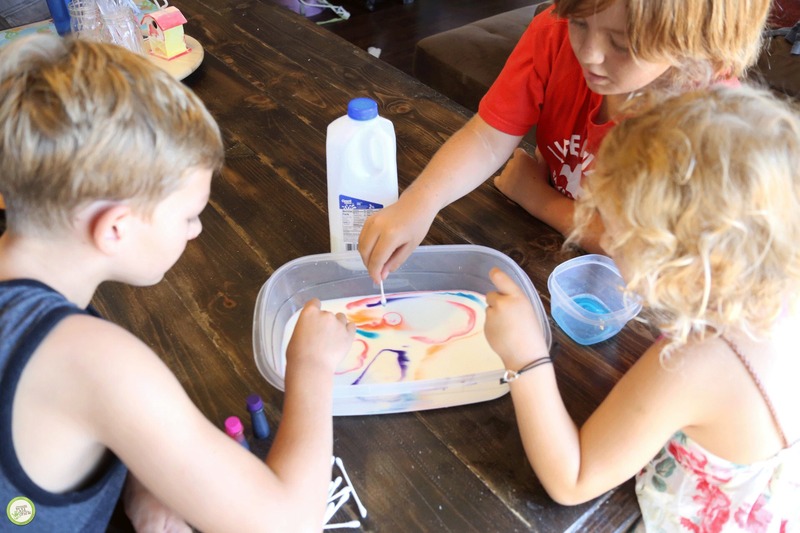 Our Discovery Boxes for kids pack a lot of fun and learning into convenient packages. 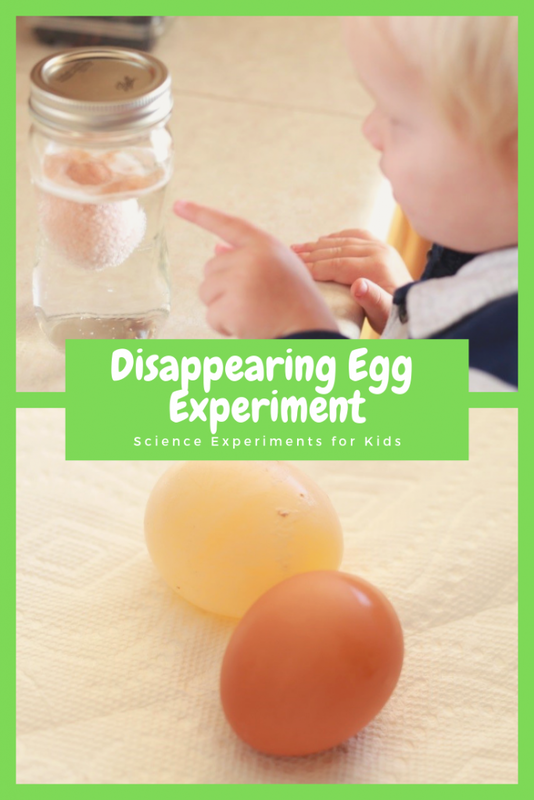 Developed by teachers, crafty moms and STEAM experts (science, technology, engineering, arts and mathematics) to support key developmental skills for kids ages 3-10, each Discovery Box celebrates creativity with craft projects and activates thinking, questioning, inquiring, and original creation as we guide children through fun science experiments. 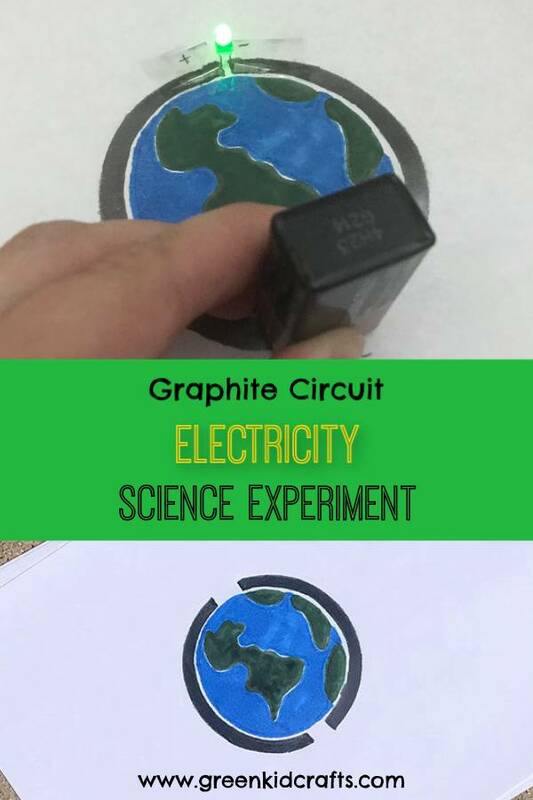 Each box contains 4-8 Creativity and STEAM Kits, extension activities, and a 20+ page themed Green Kid Activity Guide. 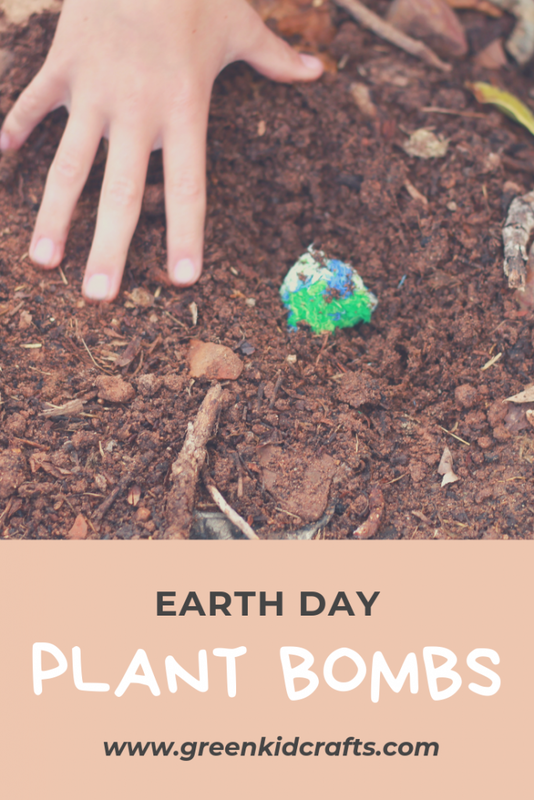 Join Green Kid Crafts today!